This Book of Memories memorial website is designed to be a permanent tribute paying tribute to the life and memory of Myrna Tallman. It allows family and friends a place to re-visit, interact with each other, share and enhance this tribute for future generations. We are both pleased and proud to provide the Book of Memories to the families of our community. 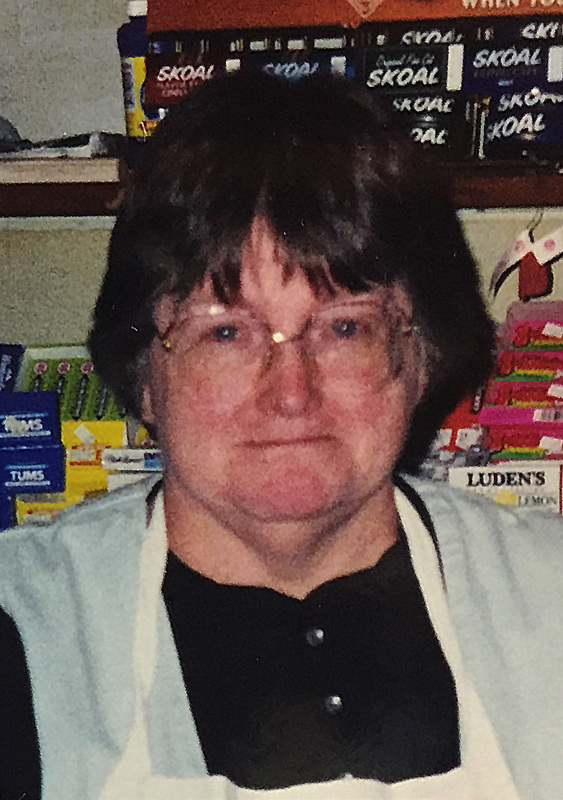 Myrna Louise (Reed) Tallman, 73 of Belvidere, passed away on Thursday, September 28, 2017 at Copley Hospital in Morrisville. She was born in Lebanon N.H. on December 9, 1943. Daughter of the late Charles and Leona Mae (Eldred) Reed. She married Hugh Philip Tallman on August 20, 1960 in Belvidere. Myrna’s family moved to Belvidere when she was eight years old as her parents bought and ran Reed’s Store. She went to Belvidere Central School and then attended Cambridge High School from which she graduated in 1960 at 16 years old. Myrna and Hugh Tallman were married in 1960,and then bought the store, Tallman’s, that they ran for the last 57 years.While running the store,she has met and made many friends over the years. Myrna was also involved in different types of local government and clubs over the years. Myrna served on the school boards for both the Belvidere Elementary school as well as serving on the high school board at Lamoille Union. She served on one or both boards for some 30 years. Myrna valued education.She was part of the Belvidere Community Club.Myrna enjoyed working with many different members, that were involved with the Club or the folks that used the Club’s space. She was a fan of “Snoopy and the rest of The Peanuts,” and collected different “Pig” items, from pictures to piggy banks. Myrna also enjoyed helping the many people that came in looking for information whether it be “where’s the moose” to “how do I get to?? ?” Myrna has a vast collection of postcards from around the world. She loved to needlepoint and was an avid reader. She enjoyed watching generations of families grow up and helping with area fundraising, including Belvidere School, Old Home Day, and LACN. From behind the counter, she listened to her neighbors and helped when they needed it. 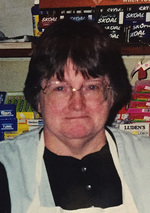 Visitors’ to the store would share jokes and stories and Myrna had many of her own. She is survived by her loving husband, Hugh Philip Tallman, two sons, Dean and his companion Robin, Thad and his wife Jodi, her daughter, Teal Tallman and her pair bonded mate Brent Howard, two brothers-in-law, Cecil Tallman and wife Jill and their family, Gene Tallman and wife Arlene and their family, seven grandchildren, Dustin Tallman, Trista Tallman and Marissa Tallman, Dana, Shayne and Dale Howard, Sandra Tallman, two great grandchildren, Seth and Sage Tallman, several nieces, nephews, cousins and her General Store Customers, who Myrna considered family. Myrna also had a brother, Glendon Charles Reed, who predeceased her. Visiting hours will be held on Saturday, September 30, 2017 from 4:00 – 7:00 p.m. at A W Rich Funeral Home – Fairfax Chapel. Funeral services will be held at The Belvidere Recreational Park Pavilion, Route 109, Belvidere at 1:00 p.m. on Sunday October 1, 2017 with Reverend John Nutting officiating. Burial will follow in the family lot in Belvidere Center Cemetery, Belvidere, VT. Memorial contributions may be made to Belvidere Community Club, 5449 Route 109, Belvidere, VT 05442 or to the Lamoille Home Health and Hospice, 54 Farr Avenue,Morrisville, VT 05661. The family also invites you to share your memories and condolences by visiting www.awrfh.com.